The Sumiyoshi Festival is held over three days. A highlight of this festival is the nagoshi-harai-shinji ritual on the middle day. The nagoshi-harai-shinji ritual involves women and children in the Muromachi period (14-16th century) costume going through a large straw ring. You can also join in this ritual to wish for good health. The Mikoshi Togyo (the parade of portable shrine) takes place on the last day. 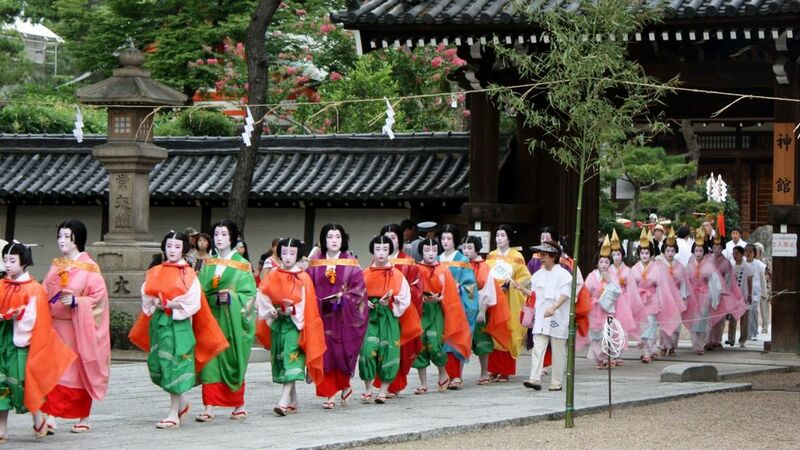 The parade leave Sumiyoshi-taisya Shrine and proceed to Shukuin Tongu Shrine in neighbouring Sakai City. It attracts many people along the way.